Dental team provides both adults and children with restorative care for urgent needs as well as ongoing preventative care, emphasizing proper oral health practices to prevent tooth decay and periodontal (gum) disease from arising in the future. Offer medical, dental, and behavioral health services on a sliding scale. Patients may be asked to pay a minimum amount at the time of their appointment. Any remaining charges will be billed to the patient. 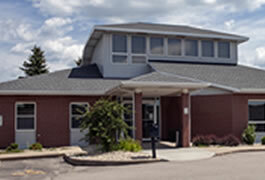 Do you have an experience with Sun Prairie Clinic? Let us know about it.